A problem with monopoly laws, such as the copyright monopoly and patent monopoly, is that their text is usually written by the lawyers that maintain them. This creates a vicious circle with circular proof that the laws work as intended. It’s long been a tradition with politicians and lawyers alike, that the code of law establishes a somewhat vague direction with plenty of internal leeway, with the courts then hammering out the details in case-law. However, with monopoly laws, this creates a huge problem. That problem is based in the difference in perception of the courts from an entrepreneur’s perspective, and therefore, from the economy as a whole. Let’s say we had a copyright monopoly holder who observed an activity of sharing they regarded as violating their monopoly. From a legal perspective, it might be an actual monopoly violation or one that falls outside the monopoly; nobody knows that at this point. Let’s say the holder of this copyright monopoly decides that the sharing individual owes them some amount of money for the ongoing activity, say €100 per year, and sends out a demand for this money. Lawyers react to such letters as perfectly natural claims to sort out in court to establish the boundaries of the law. But when I get such a nastygram as an entrepreneur, my reasoning is different. I don’t really care about sorting out details in the law, I care about money, I care about making my ends meet. When I read that nastygram, I read that I have two options: I could either pay €100 per year, or go to court and challenge the claim (let’s assume here that it has turned out to be an obviously frivolous claim). What is the cost of the entrepreneur’s other option, going to court? Let’s assume for the moment that the costs are ridiculously low. Let’s say going to court over this claim will just cost €5,000, and that my chances of winning have been judged to be a solid 90%. That means the cost of this option is €5,000 plus €10 yearly (10% of €100). So as an entrepreneur, I have two options moving ahead. I select options not from a legal perspective, but from an economic one of returns on investment. In this example, the breakeven point if I choose the upfront investment of going to court is 55 years out. I am not going to see that investment recoup its cost in my lifetime. Therefore, as an entrepreneur, my choice is obvious — I select the lower running costs. Money is all that matters when you’re running a business. Specifically, establishing case-law does not. And so, another “license” is paid up, and copyright lawyers use it as proof to politicians that licenses are paid and the system works. It’s circular reasoning at its most insidious. The danger here lies in the difference of perspective: lawyers and politicians regard court proceedings as having zero cost, as basically being a correspondence or a negotiation. In the reality entrepreneurs live in, however, the court cost of a monopoly lawsuit can easily hit a million euros. If this were not done within the legal framework, we would arrest the copyright monopoly or patent monopoly holders for extortion and throw them in jail. It was never “I think you owe me license money for your use of this, do you wish to have a court arbitrate our conflict?”, but always “Pay me a small ongoing stream of protection money, or I will ruin your business”. 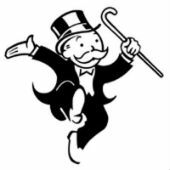 So the next time the monopoly laws need revision and redrafting, the politicians go to the monopoly lawyers with demonstrated understanding of the substance matter. Politicians note that the lawyers have been correct in their predictions that license money would start to flow, and take it as proof the system works; they can’t see or know money is flowing for all the wrong reasons. And so, the monopoly lawyers get to expand and revise those laws yet again, when it was nothing but a legalized extortion racket from the start. The cycle continues. c There are 63 comments. Add yours?